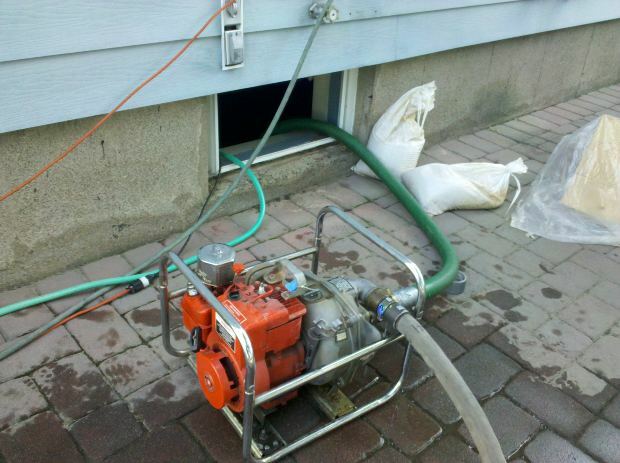 Water damage Long Island company, 24/7, free inspection! Water damage causes millions of dollars to homes across America every year, and with Long Island’s proximity to bad weather patterns and cold winter months, water damage is especially fond of raising its head and introducing itself with a degree of vanity that hasn’t been seen since the Victorians read of the protagonist in Oscar Wilde’s ‘The Picture of Dorian Gray’—he was indeed a vain creature, and where he went, trouble followed. Gray water is no different, and like the Praetorian soldiers of ancient times known for vanity and severe corruption, gray water fittingly plays well here, as it can corrupt your home and cause significant foulness. When you have a gray water disaster don’t hesitate in phoning a certified water damage Long Island specialist who has the training and equipment required to remediate any flooding and restore your home to its original pristine condition. According to Northern Arizona University, the definition of gray water is a category two spill that contains microorganisms and nutrients for microorganisms. Some examples of gray water include washing machine and dishwasher discharge, toilet overflows (no feces), sump pump failures, fire sprinkler water, shower water and water from a wash basin. Gray water in its worse form can carry biocontaminants that are fungal and bacterial, and also contain chemicals that can pose physical threats. If allowed to pollute the home, gray water can make family members extremely ill and cause severe structural damage to the home. How is Gray Water Dangerous to a House? Gray water is much like the many sins committed by Wilde’s Dorian Gray—with every act of debauchery a level of disfiguration occurs and displays the “sin of aging”. When gray water spills up through the toilet flooding your lovely Moroccan tiles, moisture can seep into little pits and cause the materials to expand and crack making them age to points that border on plain wickedness. But the biggest act of debauchery water damage can commit is the sin of mold. When excessive moisture becomes trapped in areas that get poor ventilation, you had best call for a mold removal company to perform an inspection and remove any toxic spores, otherwise your entire family could be put at risk to face health problems. How can I Prevent Water Damage? Vanity was what destroyed Dorian Gray, and you can prevent water damage by not allowing your plumbing and appliances to exist in a pipe garden of vanity where you think they are beautiful, pristine and flawless to the point they need no care. Have a professional inspect your plumbing; if there is any bulging, cracks or leaks a certified water damage specialist will be able to correct the issue and provide any gray water cleanup in no time. In ‘The Picture of Dorian Gray’, Oscar Wilde writes that “behind every exquisite thing that existed, there was something tragic”. Your pipes are no different, as the innovation of modern plumbing that morphed from Ancient Greece to what we know today is an exquisite thing to marvel at, but behind every intricate pipe design gray water lies in waiting ready to unleash a tragic case of water damage on your home like a pack of Praetorian fighters.